It’s hard to follow great chocolate, but this Breakfast in Bed gift box from MOUTH, one of our favorite purveyors of indie food and drink, does the job impressively. 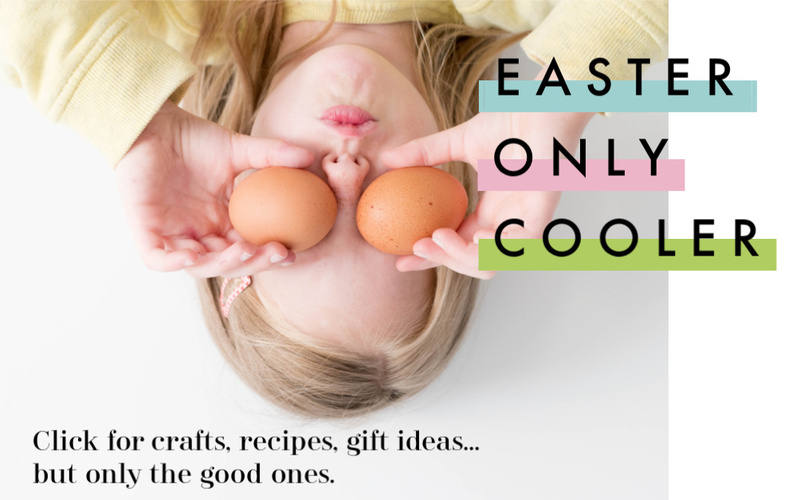 It has everything you need to treat your mama right on Mother’s Day morning, from great coffee to granolas (including Bola granola, a personal favorite) to spreads for toast that the kids can help make. I can think of no better way that I’d like to start the day. You can buy the Breakfast in Bed gift box for $65 at the MOUTH website. While we’re talking breakfast, let’s discuss having French pastries delivered to your door every month. 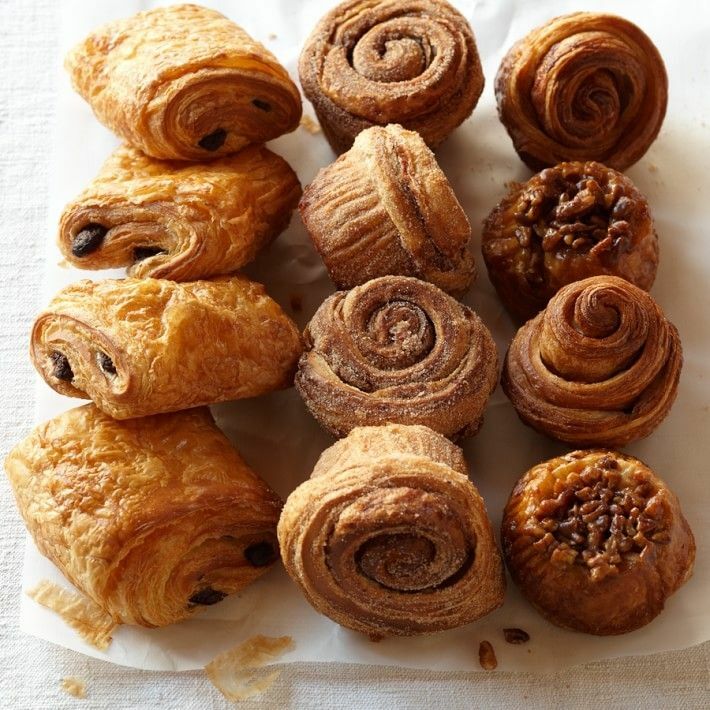 It’s possible and you can make it happen for a mom in your life by sending her Three Months of Pastries from Williams-Sonoma. In month one, mama will get morning buns; in month two, she’ll receive sticky buns; and month three will bring chocolate croissants to her door. Yes, yes, and more yes. Pastries arrive frozen so that they can be hoarded, uh, I mean stored without losing freshness. When the time’s right, an overnight rise and quick stint in the oven brings these pastries to glorious life. You can buy Three Months of Pastries for $119.95 plus a $40 flat-rate delivery fee from the Williams-Sonoma website. CMP is an rstyle affiliate. 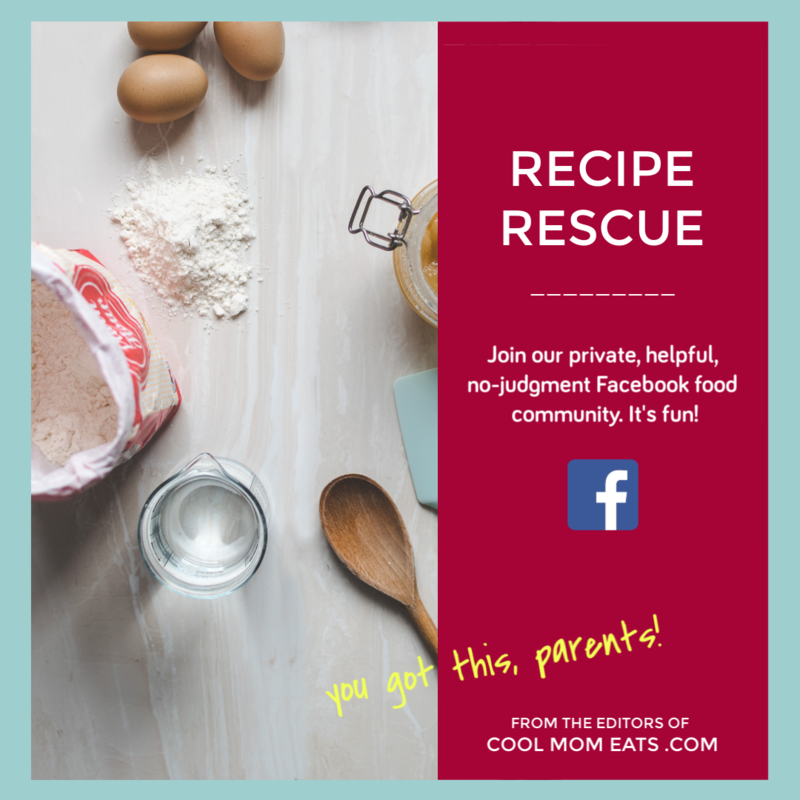 If baked goods sound right, but you’re looking for something a little more restrained (and affordable! ), check out the Mother’s Day Cookie Gift Box from Whimsy and Spice. 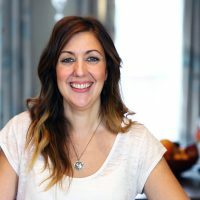 Because Whimsy and Spice is a NYC-based company, I’ve had the pleasure of trying their cookies and can vouch for how delicious they are. Totally and completely scrumptious. 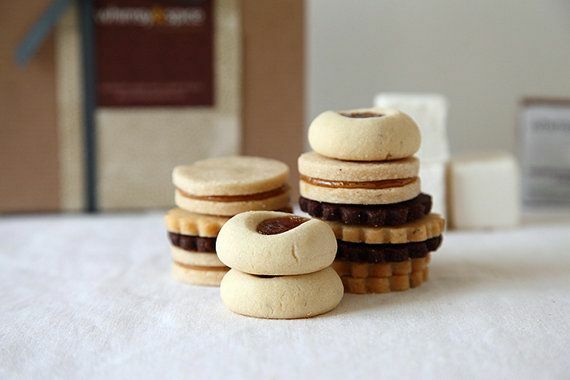 This sampler comes with 24 cookies, from Orange Chocolate Cardamom Shortbread to Cinnamon Dulce de Leche Sandwich Cookies, plus 6 Ginger Marshmallows, and 2 Espresso Dulce de Leche Brownies. Sold? Yea, me too. You can buy this Mother’s Day Cookie Gift Box for $28 at the Whimsy and Spice Etsy store. If the mama in your life prefers candy to baked goods and chocolate, you’ll surely find something at Sugarfina, a candy boutique based in southern California. We love Sugarfina for their cheeky candies and gorgeous packaging, which come together to make such a fun but still sophisticated gift. You can select from one of their gift collections or my favorite, design-your-own candy bento. In which case, be sure to add these mama and baby gummy bears— so perfect for an edible Mother’s Day gift. 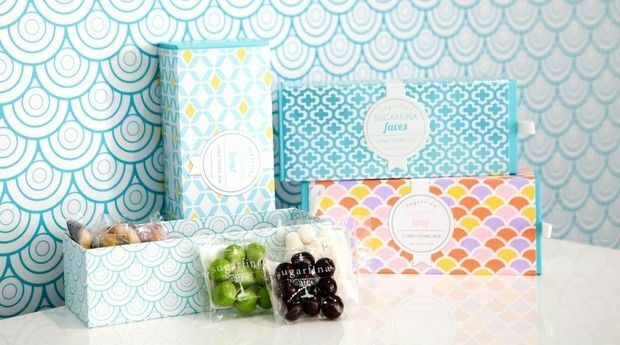 You can buy candies a la carte or pick up a candy gift set at the Sugarfina website. I can’t talk about cookies without making sure you know that you can buy Jacques Torres Chocolate Chip Cookies online. Those of us in Brooklyn are so lucky to get to indulge in these outrageous cookies more often than we probably should, and I can assure you there’s a reason they are hailed by many as the best chocolate chip cookies around. They are even worthy of your mother. Even your mother who bakes her own cookies and looks down on everyone else’s. Enough said. 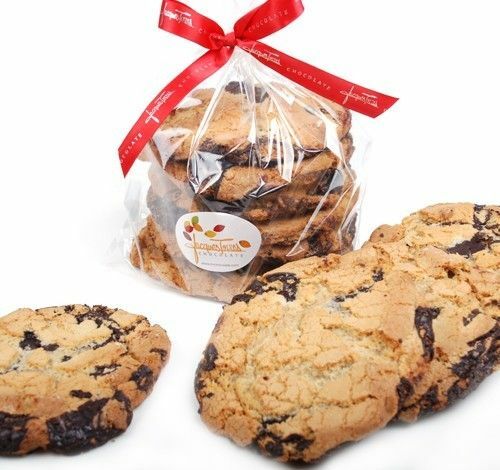 You can buy a pack of these Chocolate Chip Cookies for $18 at the Jacques Torres website. Related: Made with love: 6 easy DIY food gifts for Mother’s Day. Some women love sweets, while others prefer gold. If the mom in your life will take both, with a side of Champagne thank you very much, grab a box of these 24K Gold & Champagne Marshmallows from Wondermade, stat. These are not for s’more making, my friends; these champagne-infused, handcrafted marshmallows are light, airy, and delicious all on their own. And, let’s be honest, who hasn’t stuffed their face with a few jet-puffs after a long day? Now the mom in your life can stuff her face — or uh, indulge — with class. 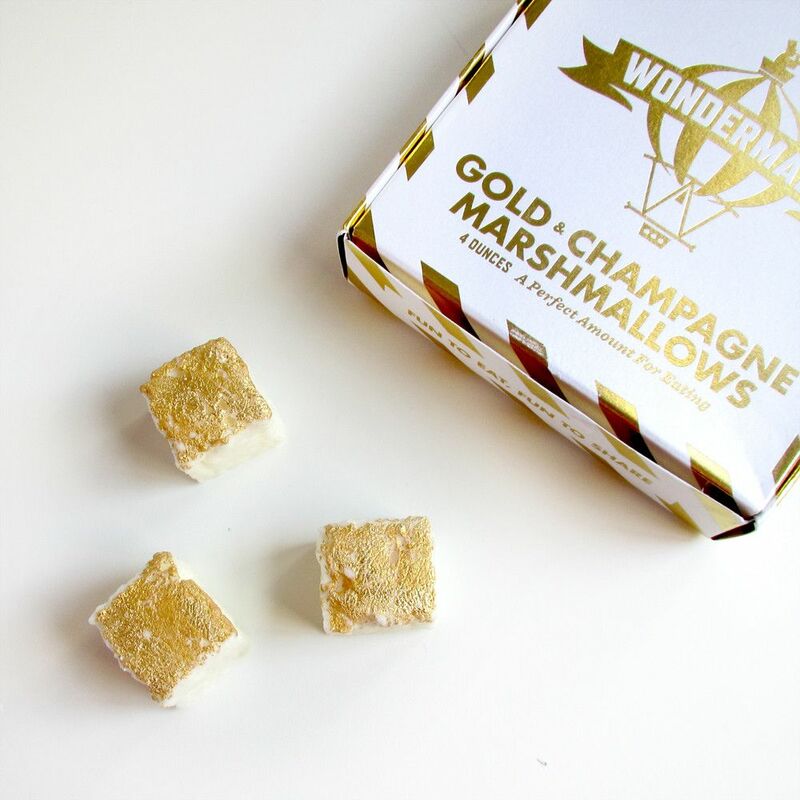 You can buy a box of 16 24K Gold & Champagne Marshmallows for $24 at the Wondermade website. While writing about the new Haagen-Dazs Artisan Collection, I learned about brigadeiros, Brazilian bonbons made of condensed milk, butter and traditionally, chocolate. Now? There’s no turning back for me. I love that they’re truffles with a Brazilian twist ,and am sure that any chocolate-loving mom in your life will dig a box of these bite-sized confections. 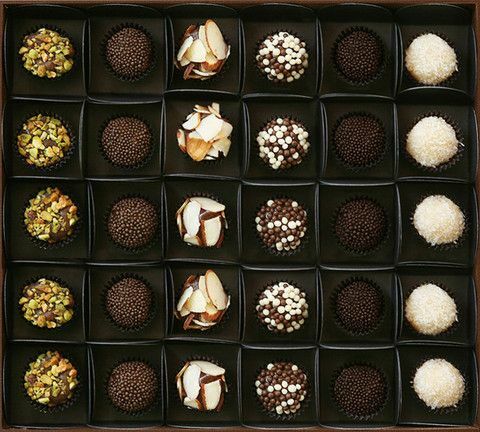 My Sweet Brigadeiro, the maker behind the new Haagen-Dazs brigadeiro flavor, will send a gift box packed with flavors of your choosing anywhere you need it to go. Just like that, you’ll make one mama very happy. Don’t you love when things are this easy? You can buy brigadeiros in gifts boxes of varying sizes for $20-52 at the My Sweet Brigadeiro website.